Although the Blind Boys of Alabama have been singing gospel music for more than five decades, it wasn't until the late 20th century that they had the benefit of a major record company behind them. 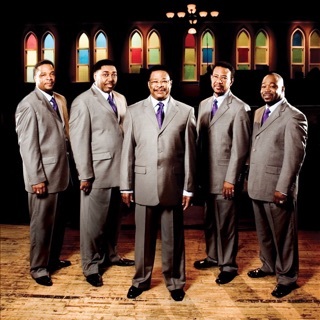 Led by founding member Clarence Fountain, the group has also featured Eric McKinney, George Scott, Caleb Butler, Johnny Fields, Jimmy Carter, Joey Williams, Donald Dillion, and Aubrey Blount. From their inception in the 1930s, when they were all boys, the group's members turned their blindness into their chief selling point, and in fact, all members of the group except one were blind. They began singing when all were students at the Talladega Institute for the Deaf and Blind in Alabama, but didn't begin recording until 1948. As a youth, Fountain heard the legendary Golden Gate Quartet on the radio; the early Five Blind Boys of Alabama took their musical cues from that group. The group began singing professionally as the Happy Land Jubilee Singers, and for years lived a day-to-day, dollar-to-dollar existence touring the South. Beginning in 1948, they recorded for a variety of small record companies, and had gospel music hits in the '50s with "Oh, Lord Stand by Me" and "I Can See Everybody's Mother But I Can't See Mine." In 1950, after the death of one of its members, the group renamed itself simply the Blind Boys of Alabama. Fountain's group recorded first for the Newark-based Coleman Records label. Between 1953 and 1957, the group recorded for Art Rupe's California-based Specialty label. In the '60s, the group's hard-driving gospel sounds were imitated by people like Bobby "Blue" Bland and Marvin Gaye. The group recorded extensively for the Vee-Jay label from 1963 to 1965. In 1969, Fountain left the group for a decade to try to make it on his own, and the group re-formed with all the original members in the late '70s. They didn't enjoy widespread success until 1988, when they starred in an Obie Award-winning Broadway show. According to Fountain, the group's high point was being on Broadway for 15 weeks with the musical Gospel at Colonus. The musical opened up new avenues for bookings for the Blind Boys of Alabama, and they began touring theaters and larger churches in the early '90s, embarking on their first European tours as well. The group was awarded a National Heritage Fellowship in 1994. In 1994 and 1995, they played festivals including the Philadelphia Folk Festival, the Beale Street Music Festival, and the King Biscuit Blues Festival. Mid-'90s television appearances included BET's On Jazz, and even a cameo on Beverly Hills, 90210. The group appeared on Peter Gabriel's 2002 album Up, and were co-billed with Ben Harper on 2004's There Will Be a Light. Scott passed away in 2005, and Fountain retired from active performance soon after, leaving Jimmy Carter to lead the group. Original bass singer Johnny Fields died in 2009. A 2011 recording, Take the High Road, found the Blind Boys of Alabama pursuing their roots in country gospel with help from producer Jamey Johnson and featuring guests including Willie Nelson, Hank Williams, Jr., and Vince Gill. The group took an even harder left turn when they collaborated with producer Justin Vernon (aka Bon Iver) on a collection of spirituals and spiritually oriented pop songs that hosted a number of special guest vocalists including Shara Worden (My Brightest Diamond), Merrill Garbus (tUnE-yArDs), Sam Amidon, and Patty Griffin. Titled I'll Find a Way, the album was released in October of 2013. A holiday album with Taj Mahal, Talkin' Christmas, appeared in time for the holiday season in 2014. Two years later, Omnivore Recordings reissued the group's Real World catalog in expanded editions.